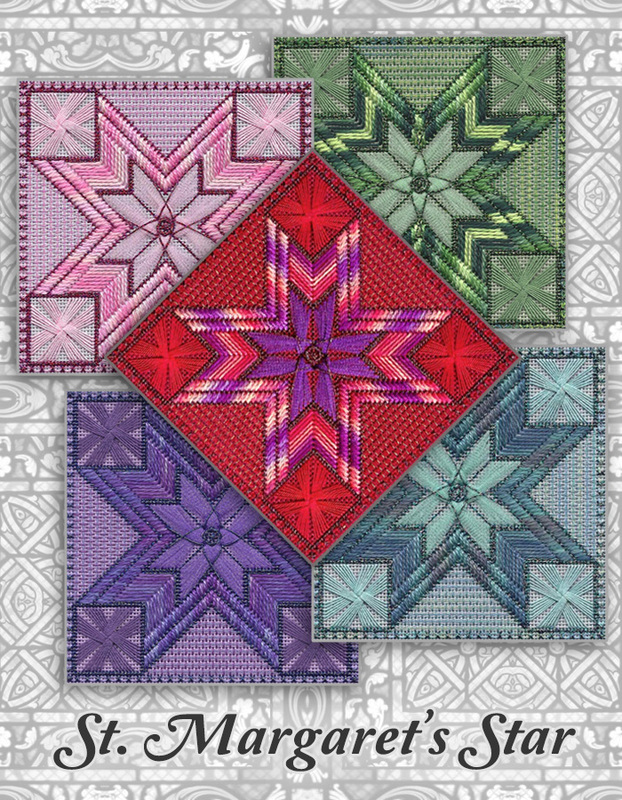 St. Margaret’s Star is stitched on 18-mono canvas in a color that coordinates with the threads of the colorway. It uses Kreinik #8 braid, Watercolours, Rainbow Gallery Elegance, Flair and Sparkle!Braid, and Burmilana. The stitches are fun and creative. Five color options are included: pink, blue, red, purple and green. The finished stitched area is about 6” x 6”.